The video platform JW Player is expanding its Video Player Bidding solution, bringing on three new partners to its ad platform. The new partners are Telaria, EMX and PubMatic. They will join the company’s launch partner, SpotX, to broaden the programmatic video marketplace for JW Player clients. 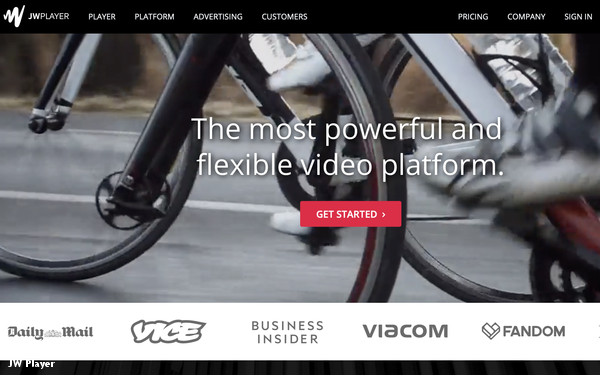 The video company has renewed its agreement with SpotX, a deal first announced last February. The Video Player Bidding solution lets JW Player clients, which include Vice Media, Penske Media and Univision, among others, to monetize their videos through the company’s own programmatic offering, tapping into exchanges from ad partners. Over the past year, JW Player says the solution has served 1 billion ad opportunities each month, leading to higher fill rates and CPMs. JW Player says the solution will be available by invitation only for now.